TORONTO – Run silent, run deep. In a matter of weeks the Royal Canadian Navy will have three submarines ready to do just that. The fourth will be in dry dock and not released until 2015. These conventional diesel-electric boats were all purchased second hand from Britain in 1998 and transferred to the RCN at an initial cost of $750 million. Years of controversy and refit followed before last year’s historic visit by HMCS Victoria to the RIMPAC exercises off Hawaii. That passage culminated in its firing an MK 48 heavyweight torpedo and sinking the decommissioned transport USNS Concord. News that HMCS Victoria is to be joined by its sisters is welcome for the defence establishment. For critics — of which there are many — it is just another chapter in a convoluted tale of mismatched procurement meeting ill-defined strategic needs. The Canadian taxpayer has been left to pick up the now estimated $3 billion (and rising) tab prompting the question: does the RCN even need to stay in the submarine business? It’s in good company if it does. Across the Pacific Rim, alone, countries as far apart as South Korea and Australia, Indonesia and Japan, China, Vietnam, Malaysia and Singapore operate conventional submarines. Further afield Bangladesh is acquiring its first submarines to boost its naval power in the Bay of Bengal while India operates 14 boats, including a nuclear-powered attack submarine leased from Russia. All are used for sea-lane security in a variety of scenarios including clandestine work delivering special forces operators in shallow coastal waters. Still, those tasks should be viewed through an entirely different geo/strategic setting to that of Canada’s, cautions Steven Staples, president of the Rideau Institute, a defence and foreign policy think-tank in Ottawa. He acknowledges the growing submarine capabilities in other parts of the globe but maintains Canada is historically not in the trade of long-range power projection. 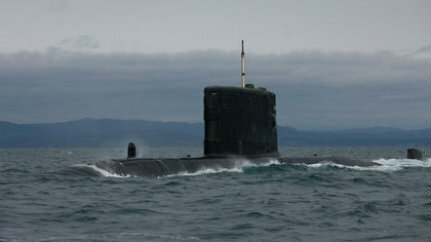 “We live in a self-evidently different neighbourhood to Asia,” Staples said, “and our submarines are more coastal. They were designed to sit on the sea floor during the Cold War to watch and listen for Soviet fleet activity. “There is a strong argument against whether we need them at all. The three Oberon class boats that preceded the current subs were mostly used to provide opposition training for the U.S. Navy. Sitting, watching and listening. Three things non-nuclear submarines excel at. Surely with increased shipping activity in the Arctic thanks to receding pack ice and more and bigger ships transiting the route for a short-cut to Europe, doesn’t it make sense for Canada to have eyes and ears monitoring a potentially ice free Northwest Passage? “Well, it would help if they were ever fully operational, put it that way” Staples said. “If they could dive without hitting the ocean floor or even remember to close hatches before submerging. If Canada eventually embraces the “use ‘em if you’ve got ‘em” doctrine, they might want to look at what Australia did with its six Oberon-class diesel-electric boats during the last decades of the Cold War. The Royal Australian Navy conducted perilous intelligence-gathering operations off the coasts of Vietnam, Indonesia, China and India as part of an American-led effort to check the Soviet Navy’s formidable fleet. Between 1978 and 1992 Australian submarines would secretly track Soviet ships as they transited the South China Sea. There were 16 patrols in all. In one case an Australian boat famously trailed a new Soviet frigate all the way to the entrance of Vietnam’s Cam Ranh Bay naval base and photographed its hull shape, propellers, weapons systems and sonar. All undetected despite being just being 1.8-metres from the frigate’s hull at one stage. Difficult but not impossible to replicate in Arctic waters if RCN submariners ever get the call to covertly see just who is using the trans-polar shipping route. And why. This entry was posted in The world's submarines and tagged 2400, Canada, HMCS Victoria, RCN, Upholder class on April 15, 2013 by jasonlockley.